It's been a hell of a year at Green Gate Access Systems. After being forced to relocate, when our last base was destroyed by fire, we've soared to greater heights like a phoenix from the flames. To celebrate the team's hard work and thank our customers for their patience and loyalty, we'd love you to join us for lunch and a guided tour of the new Green Gate HQ on Monday 4th September 2017. 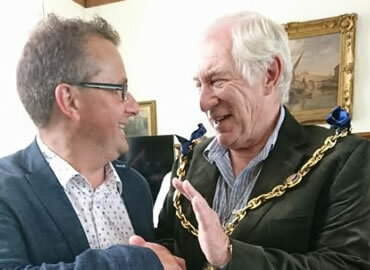 Guest of honour, Maidstone Mayor Cllr Malcolm Greer, will be cutting the ribbon at midday to our brand new training suite and you'll be able to chat with staff and maybe bang out a tune on our very own baby grand piano during the afternoon. 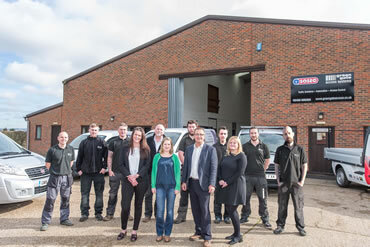 Launched by Neil and Hannah Sampson 11 years ago, working from a shed and a small stand at the Kent Show, automated security specialists Green Gate Access Systems now has 15 staff, its own in-house manufacturing and fabrication, a training suite and staff gym amongst many other things. Come have a look for yourself, we'd love you to see the giant leaps we've made. Please RSVP or contact us on 01622 534000 to let us know if you would like to come.